Miami, August 2017. 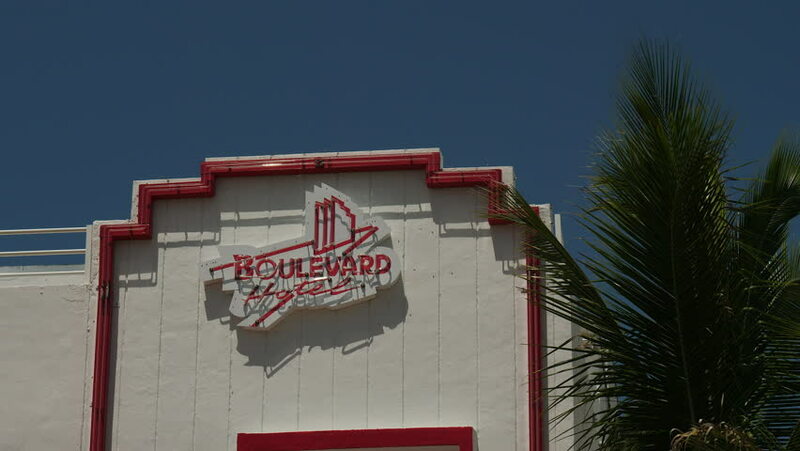 Facade detail of Boulevard Hotel, Ocean Drive, Miami Beach. hd00:11DUBAI, UAE - November 26, 2017 - Kart racing in Dubai Kartdrome. Dubai Kartdrome offers arrive & drive rental karts sessions for people over 13 years old wishing to try karting for fun. hd00:07Agency of tours and travels Mer-ka-ba Merkaba Coffee house from the net in the Vinnytsya city Ukraine. hd00:171970s: Sign for Shenandoah National Park entrance indicating Headquarters Information. Young people run down trail. Sign for a Fitness Trail.